Successfully Added Venstar K4 Childrens Tablet PC - Dual Core Cortex A9, 4.3 Inch, Android 4.2, (Green) to your Shopping Cart. 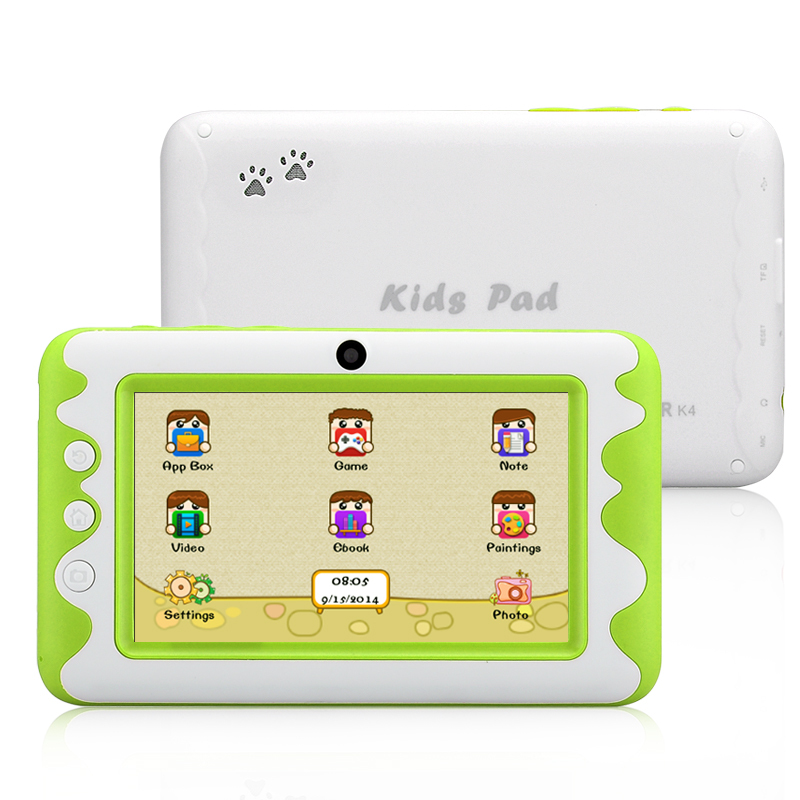 This 4.3 Inch Dual Core Tablet PC was designed by Venstar with children in mind and is aimed at helping them lean through play and provides a great tool to help them expand their knowledge and horizons. While 4.3 inch may feel small to adults hands it's a good size for those of your children as its easy enough to grasp and use while still being light and portable so they can take it anywhere they go. This great little tablet brings fun into daily learning. It also lets your children get a head start by learning all about computers and introducing them to the powers of technology and how they can unlock that potential to improve their lives and knowledge. The comfy to hold 4.3 inch tablet has a good size display for enjoying games films or other media and the 5 point capacitive touch screen means that they have full control at their fingertips. It's a great way to keep your children entertained on a long trip or rainy weekend. There are plenty of options and fun to be had watching films, playing games, reading an e-book, or surfing the web so there is never a dull moment. To ensure that parents have a guiding hand in their use of the Venstar K4 it comes with a parental control system. This lets you set what apps can or can’t be used including the internet browser and has a feature for you to allot how much time the device can be used for. Care was taken when deigning and creating the Venstart 4K tablet PC to make sure that it was straightforward and easy for children to use so it features its own dedicated child friendly interface that was based on the Android 4.2 jelly bean system. With Google play coming pre installed there is instant access to a multitude of games and educational apps. The front-facing camera allows your child to take selfies or enjoy chatting on Skype as well as capture the world around them. With their very own personal tablet there will be no more borrowing of mum or dad's phone, which means your battery won’t be run down by them playing angry birds.